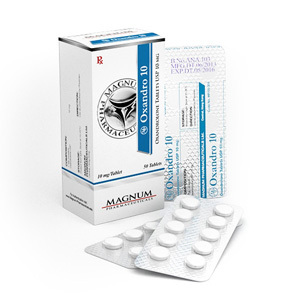 Magnum Oxandro 10 mg (oxandrolone) is structurally derived from dihydrotestosterone, a modification with a substituted second carbon atom per oxygen atom, and methylated in the 17th position (to extend the lifespan and increase activity when taken orally / in tablet form). It has increased anabolic activity and reduced androgenic compared to testosterone: anabolic index is 400 percent, androgenic – 25 percent. Oxandro 10 mg tablets have the effect of enhancing anabolic processes and reducing catabolic in relation to muscle mass. They do not lead to a rapid increase in muscles, as, for example, Oxymetholone does, but they induce an increase in muscle density and relief, fat burning, and an increase in host endurance and strength indicators. When you receive an increase in the level of somatropin (growth hormone) compared with the baseline. The time of detection of traces of the drug using the doping test – up to two months. Most often, the Oxandrolon Lyka course lasts no more than two months. 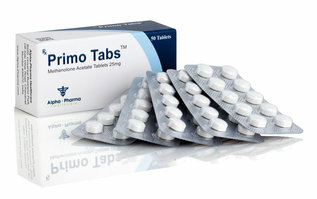 The maximum daily dose of anabolic is 80 milligrams. 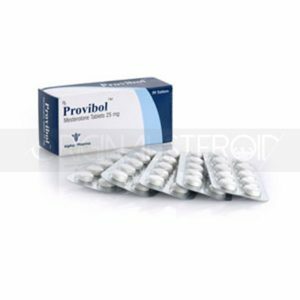 Solo steroid is used quite rarely and the maximum result can be achieved during combined cycles. 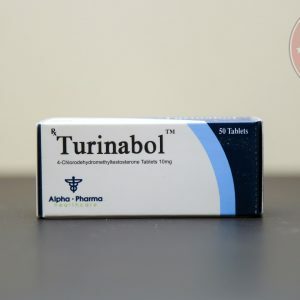 Athletes most often use bundles of Oxandrolon Lyka with Primobolan, Winstrol and Testosterone to conduct a powerful drying cycle.